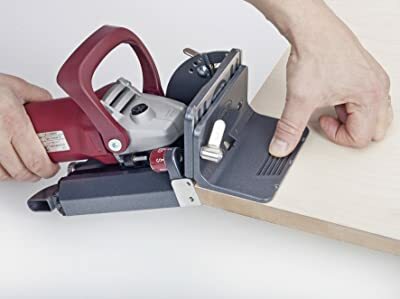 Biscuit joiner is a must have tool for woodworking and carpentry. Those who want to do woodworking on their own, biscuit joiners are a true delight. If you were looking for types of biscuit joiners then you have landed at the right place. In this article, I would be reviewing various types of biscuit joiners, their features, differences and many other factors which will make it easy for you to buy one. 1 What is Biscuit Joiner? 4 How many are wood biscuits size and biscuit type ? Biscuit joiner which is sometimes referred to as plate joiner, is a tool used in woodworking. It is used to join two pieces of wood together with the help of glue. A small circular saw blade is used by the biscuit joiner to cut crescent shaped hole in opposite edges of both the two pieces of wood. For biscuit joining, wooden biscuits are used which are oval-shaped, dried and compressed wood pieces. Biscuit is usually made of beech or particle wood which is then applied with glue to fix in the crescent hole. Both the boards are then clinched together when the biscuit is placed in the slot and the wet glue makes the bond strong as the glue expands the biscuit. The work pieces which need to be joined are brought together closely. And areas where the biscuits need to be placed are marked by the user to make the process perfect. You don’t need to do the exact placement as when you will clamp both the pieces, biscuits will be hidden. So to make an alignment, just mark the area with a pencil to get an idea where the biscuits are going to be placed. Now when you are done with the marking, it’s the time to separate the piece and take hold of your machine to cut the slots. Machine used for joining has reference mark for quick and easy alignment. Now this is something highly debatable topic to discuss about. Biscuits are a perfect addition to any woodworking task. It makes the joining easy and quick. And importantly, biscuits are used in almost every application like mortise and tenon, lap joints, dadoes and cabinets. Biscuits are placed with the help of glue and it is all about how you use the glue to make the joint strong. But in some furniture items like large tables, glue doesn’t hold so much of significance. For such items, heavy duty joinery is used to create powerful and strong joints. Biscuit joiners normally work from 0-90 degree angle. Some are equipped with 0-135 working , with wide working angle you can work more comfortably and flexibly. Such as You can change work situations from 45 Degrees to 135 degrees with only one action at the moment. Depth setting is also called the number of biscuit sizes. A good biscuit joiner will have 6 depth settings and they are 0, 10, 20, S, D and Max for wood biscuits no. 00, 10, 20, Detachable biscuit, furniture hinge and wood biscuit S6. Some biscuit joiners have 3 or 4 depth settings but you should buy those joiners having full six depth settings. Preset Angle is that which is preset for common work. Various working angles include 0, 22.5, 45, 67.5, 90 and 135 degrees. Like I said that you should buy a biscuit joiner having full 6 depth settings, same is the case with preset angle. You must buy a joiner having more preset angles as it will save your time while working. Power is significant. Am I right? Power holds an important place when we are talking about biscuit joiners. The more the power, the more will be the cutting strength. Simple like anything… Power motor of 500W means it can provide 500N in 1 second . The suggested power is 650 W but I think 700 W has the ability to cut every type of hardwood. If you use the biscuit joiner occasionally, small motor is fine but if you are a professional woodworker, more power is needed. Three types of anti-slip devices are there i.e. Pad, Two pins and Silicon Pad. Among the list, pad and silicon pad are better than two pins. The handle of the joiner should be adjustable so that you can hold it comfortably. Look for such a model that is ergonomically designed as you can use your joiner for years to come. Plus, if you have any problem like arthritis or something, then adjustable handles are must. These are the features which you must look in the biscuit joiner you are going to buy. Let’s read about the features of the above mentioned biscuit joiners in detail. They will help you in making your purchase quick. It is among the top biscuit joiners available in the market. The motor strength is quite powerful and 780 watts are enough to handle any type of project. It is ergonomically designed and can withstand the toughest woods like Oak or Walnut. This one is definitely the best choice for professionals. It has base plate which swivels for easy positioning and the parts are crafted of CNC material to offer long life durability. The grooves offer perfect alignment in the cutting which makes it the popular joiner. It has 0-135 working angle and anti slip silicon pad. The depth settings are 6 and preset angle is 0, 22.5, 45, 67.5 and 90 degrees. So, you can see that Lamello classic X 101600 Biscuit joiner has all the advantages that a normal biscuit joiner has. Plus, it comes with 1 year warranty and benefit of 10 years of parts availability is offered by the brand. It is a joiner which can work in 14 different joining elements without changing the tool.whereas other joiners are capable of 6-7 sizes only. It can cut grooves, repair wood, trim and cut expansion gaps so that is why it is called multifunctional biscuit joiner. 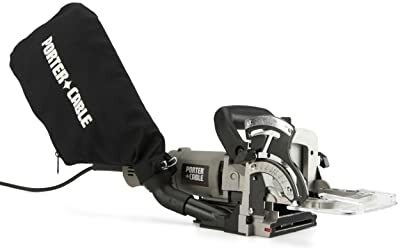 So, it is a steal biscuit joiner at such an amazing price. This joiner will assist you in all your woodworking requirements as it is a remarkable product by Lamello. Lamello Top 21 is a wonderful joiner that has all the technical factors of Lamello Classic X 101600. It can do everything which the classic Lamello can do and it is a perfect joiner to work with 14 types of biscuits. Plus, it also has the ability to cut grooves, cut expansion gaps, trimming and wood repairs. But have you ever wondered what makes it different from the classic Lamello? 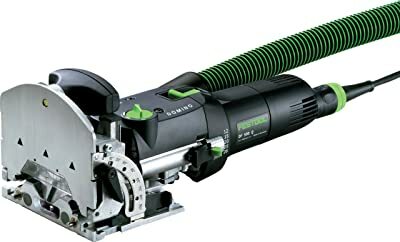 This biscuit joiner has 800 watt smart motor which starts up softly. Plus, it controls speed of the joiner and provides complete protection. 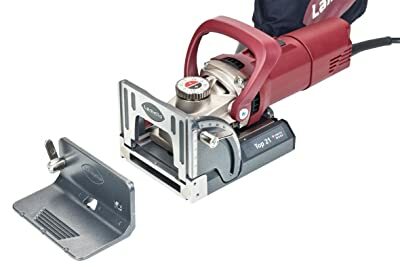 Lamello Top 21 is the only joiner having repeatable adjustable blade height. And it is equipped with stop square that mounts on the bottom for support when you are joining near the end of surface. Overall, it is a nice joiner to buy. Designed to perfection, this joiner is exceptional and no other joiner has adjustable blade height. I would highly recommend this joiner as it will enhance the look of your woodshop, for sure. This biscuit joiner is perfect as it is equipped with pivoting fence which enables you to work with 0-90 degree angle. The unique and perfect cutting action of this biscuit joiner is worth admiring. It offers mortise width adjustment to provide easy alignment while you are joining the panels. Designed with thick mortise, it has 5mm, 6mm, 8mm and 10mm thickness. Long mortises can be cut instantly due to the simultaneous turning and oscillating movement. It has 420W-120V motor power which is pretty enough to do the woodworking tasks. This biscuit joiner comes with 3 year limited warranty. It is a best selling product at Amazon. The joiner is detailed with indexing pins to offer quick alignment and precise placement. Plus, the dust extractable designing is perfect to offer longer cutter life. 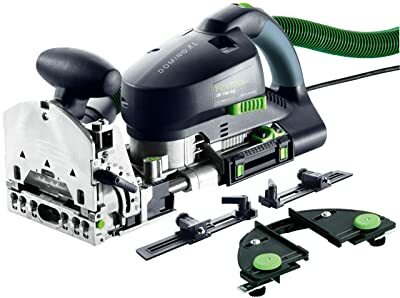 Festool is a top quality product and it is a larger version of Domino XL joiner. This joiner is equipped with 5 ½ inches of tenon and it is designed perfectly to work with dust collection system. It has working angle of 0-90 degrees and the mortising bit range is 8mm, 12mm, 10mm and 14mm. The motor is designed with 720W-120V and it is quite powerful and strong. The mortise adjustment makes very clean cuts due to the rotating and oscillating combination. Plus, it comes with trimming facility and cross stops to ensure edge joining. This biscuit joiner comes with 3 year limited warranty. Due to the strong motor and its capability to work with longer mortise, it is the best selling product at Amazon. The first joiner in Class B is Porter cable 557. It is constructed with smart designing and unique two stage fence. The height adjustment of this joiner works flawlessly which can adapt to all the working angles and thick materials as well. Its wide working angle of 0-135 degrees makes it the best joiner to solve all your work situations. Having the ability to make cuts for 6 types of biscuits i.e. 00, 10, 20, Simplex, Duplex and S6 (max), it gives you the choice to make more varieties of furniture. Cabinet doors can be repaired perfectly with this joiner. On the top notch, it offers high stability and precision. All in all, it is a worth buy joiner due to the incredible durability it offers. Plus, it enjoys good customer rating on Amazon. Grab the product under $200 and believe me, it is not going to disappoint you at any cost. Dewalt is my favorite brand due to their simple looks and incredible strength. 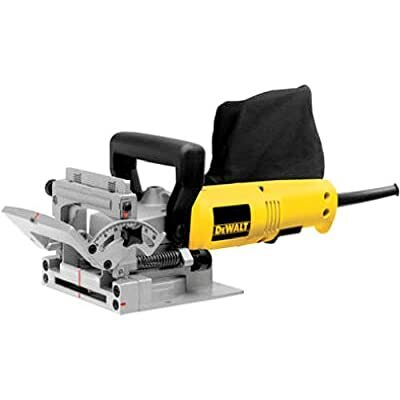 This is the best joiner launched by Dewalt. Equipped with classic one piece fence, it has working angle of 0-90 degrees. It flaunts the personality of the carpenter due to the powerful construction. For miter joints, the preset angle is 45 degrees and it has the ability to work with Wood biscuit No 00,no 10,no 20 and S6 . 4 depth settings i.e. 0, 10, 20 and Max are provided by this joiner. Plus, Dewalt is a great product to create nice space for household appliances like windows, bookcases and picture frames. Having the motor strength of 6.5 Amp, 10000 rpm and 6 blade teeth, it is strong enough to cope with any type of task. I would recommend this product due to its stability in making precise cuts. It comes with 3 years limited warranty, 90 days money back guarantee and 1 year free service support. You don’t have to worry about the quality of this joiner because it is a great choice at a price under $200. How many are wood biscuits size and biscuit type ? They was produced by a lot of company such as : porter cable, lamello,…but any biscuit joiner can use them for any work without blade change because they have the same size blade (4”). There only two small sizes for other wood biscuits. Simplex: to make a connector that can be detach. Duplex: Furniture hinge ,it can be used to repairing old furniture. Sefl claming biscuit : ( no glue inquired) it will save a lot of time and money for you. Detachable biscuit element such as simplex,champ,medal glue or screws inquired ) but you can detach them when you need. You can make a lot of thing with a biscuit joiner, bookshelf, kitchen cabinet, chest…it does not take you too much money like router or, nailer, screws but it will give you the most beautiful joint with quick nest time.If you don’t have a wood joiner ,you should have a plate jointer in your wood shop. Gather the wood pieces to be joined but make sure their grains are facing the same way. The tree rings should be in the shape of arch on the edges of the wood and the open ends of the curves must face downwards. Such type of positioning keeps the wood away from curving when humidity is high. Now take a pencil and draw a triangle. It should be drawn across the width of the boards which need to be joined. Drawing this triangle is always good to place the boards together correctly. The place where you want to put your biscuit, mark those areas with a pencil. It will make sure that biscuits are hold down in a correct manner. You have to ensure that the biscuits should be 6 inches apart. Then spread apart the boards and cut a slot at each pencil mark with biscuit joiner. Make sure that you center the cuts where you have marked. To make the slot edges strong, apply some amount of wood glue depending upon the length of the edge. It is to make the edge powerful so that it can hold the biscuit properly. Now it’s the time to insert the biscuit into one edge of the board or wood. After doing this, slide the biscuit into other corresponding edge where you have cut down slots. Already these edges are glued so you need to clamp both wood pieces together and let them dry. Like in the construction of bookshelves, perpendicular joints are needed. In perpendicular joints, edge of one board is tied to the face of another. Then hold both the boards together to be joined and take a pencil to mark both the boards. It is to denote the area where cuts have been made. It’s suggested to keep a 6 inches space apart. Next, keep both the boards on top of each other parallel with the top of the horizontal board. And finally, clamp the boards together in this position only. This is all about how to use biscuit joiners. I hope you get your wood pieces clamped together nicely. Now construct your bookshelves or furniture items on your own. So guys, this is all about different types of biscuit joiners. I guess I have made a detailed review of these products and also the tips on how to choose best biscuit joiner. Read the article thoroughly and then settle on a final decision of buying that joiner which suits your requirements perfectly. While building furniture, cupboards or any other projects, biscuit joiner is a must-have. I hope this article would be of great help and use for you all.